It’s official! In April 2015, Hoiio will be launching premium support. For customers who require a faster response time (as fast as within 4 hours), weekend support options (24 by 7 available), dedicated/priority phone queues or even direct online chat support (7 days from 9am to 9pm), this is the option for you. Business and Premium support can help you minimize risk and downtime for your company. Easily choose the plan that meets your specific needs. Refer to the table below for details. Hoiio will still continue to offer standard support plans for all Hoiio solutions. You can choose to upgrade at any time. The upgrades can be purchased annually. 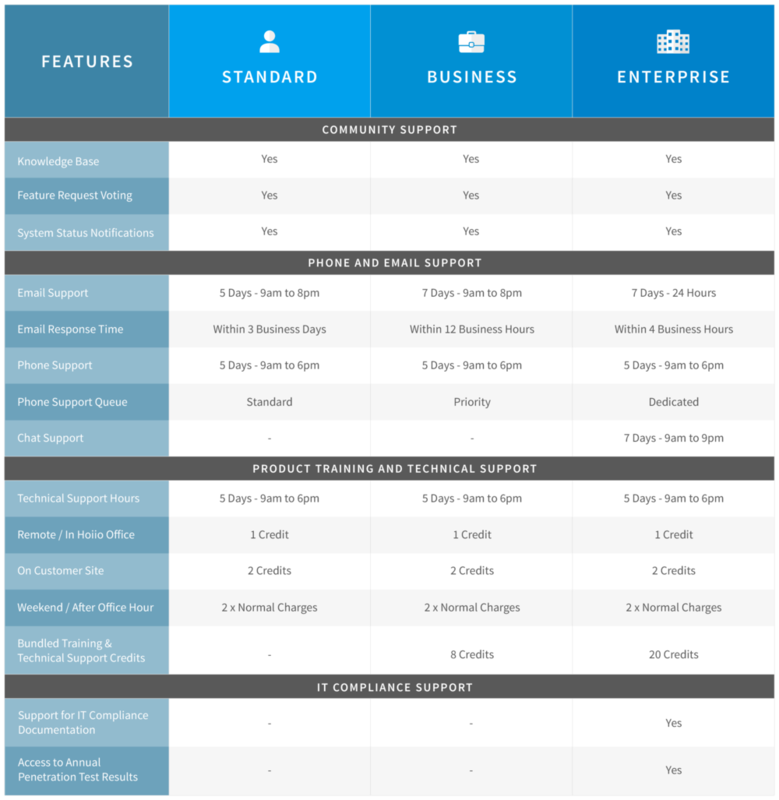 For additional training, technical and/or onsite support, Business and Enterprise support plans already come bundled with such support credits. If required, additional credits can be purchased on a pay per use basis.